Mendoza is a large town in the middle of a vast, flat and dry plain. However, irrigated by meltwater from the Andes, it is green and shaded by thousands of trees fed at night by bubbling canals of water. A couple of hundred years ago, Spanish and Italian immigrants settled the area and started producing wine using the same water to swell their grapes. 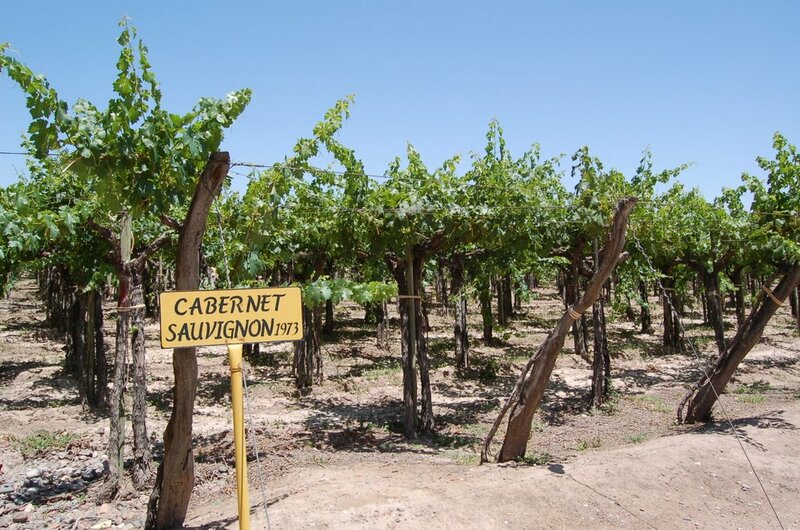 Mendoza is now the centre of the Argentinian wine trade and we hired bikes to ride to Maipu, one of the main regions, 16 kilometres to the south of the town. It was hot (again) as we gently rolled out of town through the residential suburbs, the dusty lorry parks and the ubiquitous YBF gas stations. It took an hour and a half on the back roads to reach Bodega La Rural - first stop on the "wine-biking" circuit - where we joined a small group for a very quick tour of the vines, a museum showing relics from the early years (including an ox skin in which the grapes were trampled - the juice running from the neck into gourds) and a tasting of an average Chardonnay and slightly better Merlot. A heavy lunch of BBQed meat - pork, beef, intestine and black pudding - surprisingly didn`t slow us down and we headed west to Bodega Lopez, a vast operation producing millions of litres of drinking quality wine for the Argentinian market. It was a slick operation and, after a video showing the wine-making process, we headed into the industrial warehouses to inspect the machinery that destemmed the grapes, the hydraulic presses, the stainless steel tanks for temperature-controlled fermenation and the huge barrels of French oak- some holding 25,000 litres - where the wine would sit for 1-5 years. 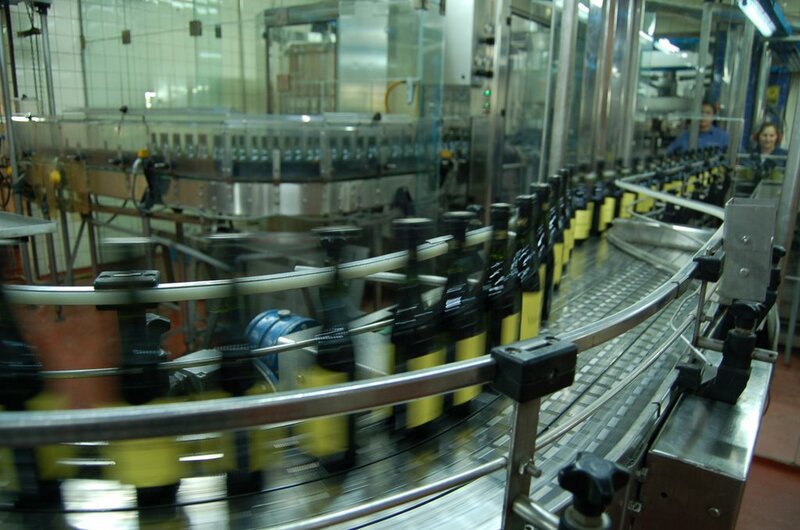 It was highly automated and the bottling process was a factory line where bottles were filled, corked, labelled and boxed without human contact. The tasting of a 2003 Malbec, the definitive Argentinian grape, was much more interesting with deep aromas of dark cherries flooding from the wine. I had a second glass - purely to help the legs for the hour`s riding back to Mendoza where we collapsed in San Martin park with an ice cream and the glow of satisfaction that comes from too much sun, wine and exercise. 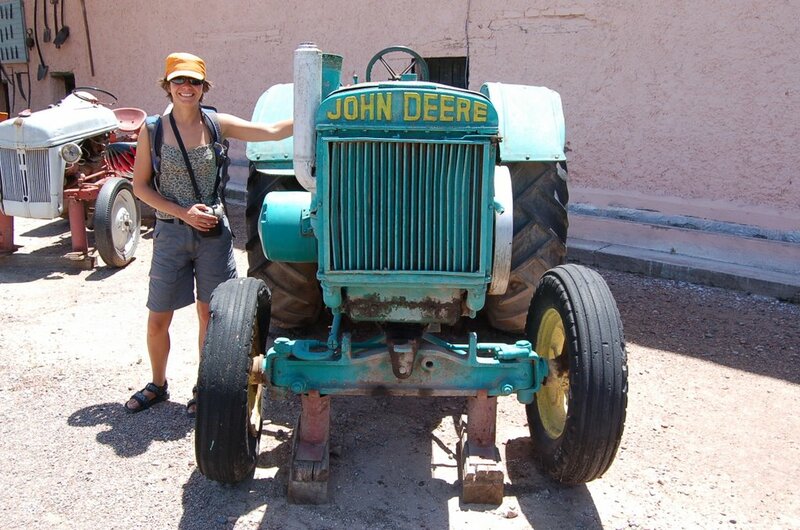 Il était temps qu'albane remette le tracteur John DEER en service pour gagner son voyage ; son pére est disposé à lui prêter le sien quand vous rentrerer en FRANCE. Attention aux degustations ça coupe les jambes des sportifs.